Lot’s of nostalgia to these burgers of 100% all-natural Angus beef griddle friend patties are topped with cheese, tomato and lettuce splashed with ShackSauce (who knows, but think of some sort of seasoned mayo, ketchup and mustard blend) on a Martin’s Potato Roll – think of your childhood and the beach concession stand or drive-in. It’s a great burger moment, no doubts about it, a great burger moment indeed. 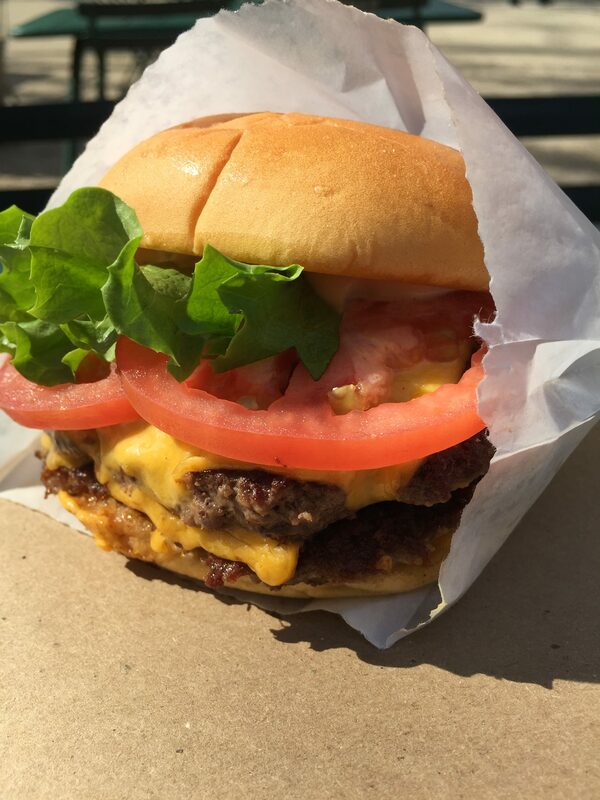 The Shack Shack, Danny Meyer’s outdoor original at Madison Square Park, where 5th Avenue and Broadway cross paths by 23rd Street.